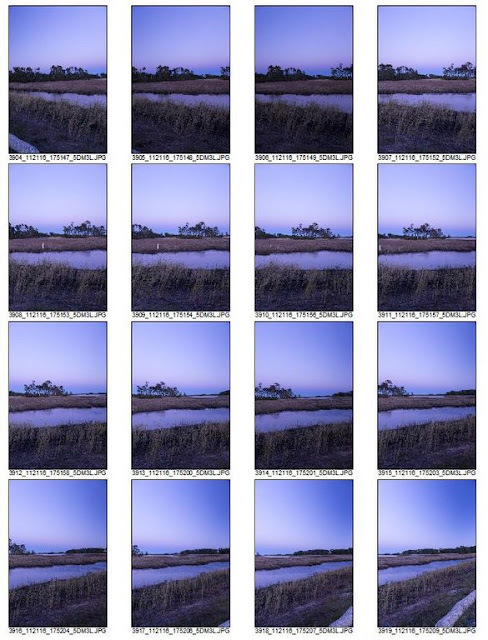 16 verticals (see third image)were combined in Photoshop CC ACR (Adobe Camera RAW) to create this evening image at Chincoteague. 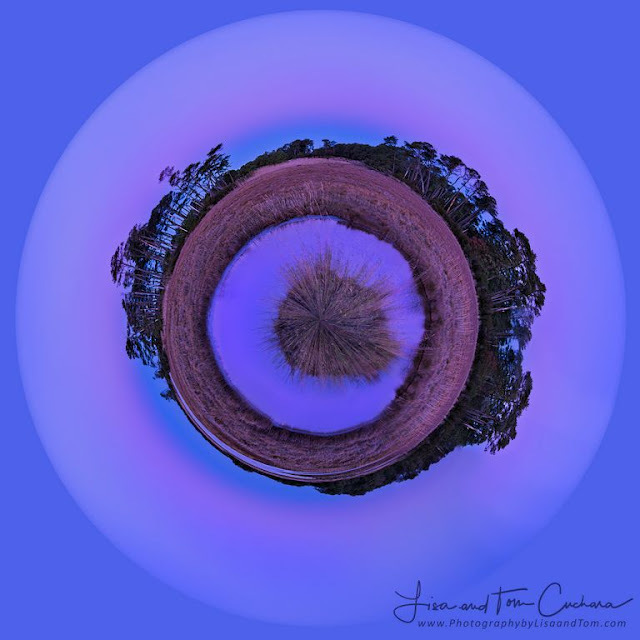 When you have a panorama image sometimes you are further inspired to create a "tiny planet" from it, filter, distort, polar coordinates. These 16 verticals, 24mm (24-105mm lens) were used to create the final panoramic image in ACR.